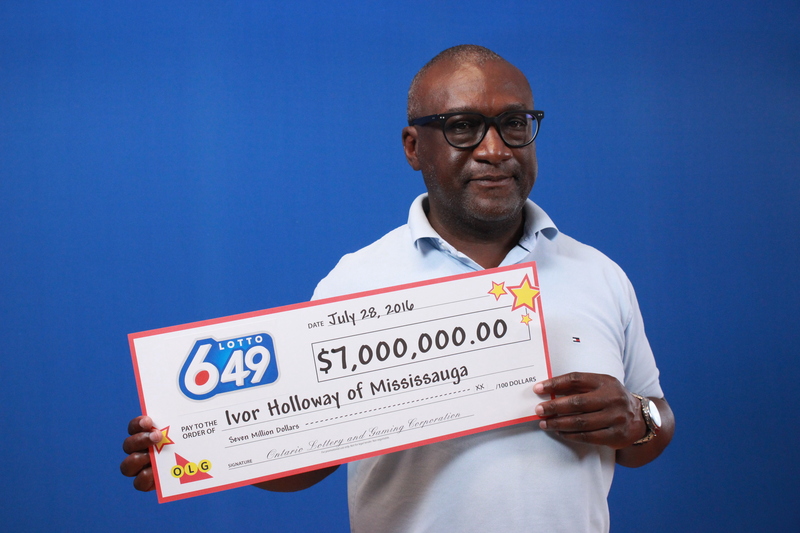 Ivor Holloway waited nearly a year before collecting his $7 million Lotto 6/49 jackpot. “I was checking a few tickets at the store and had a few small wins but when I reached the last ticket, that’s when everything changed,” said Holloway in a statement issued by the OLG Monday..
His winnings are from the August 29, 2015 draw. Holloway says he immediately went home and hid the ticket in his desk drawer. “I placed it in an envelope and that’s where it sat for 11 months. I knew I had to take care of a few things in my life and wrap my head around such a big win,” he said. A trip to Italy would also be fantastic, but “mostly, this win is about celebrating with my family,” he said. The winning ticket was purchased at a Petro Canada station on York Mills Rd. in North York. Meanwhile, David Wright says he plans to keep things simple after winning $675,000 playing Cash for Life. “We have little things we want to do but will mostly enjoy not having to worry about money,” Wright said. Wright and his wife “were on our way to a friend’s barbecue and we had stopped to pick up dessert,” he said. 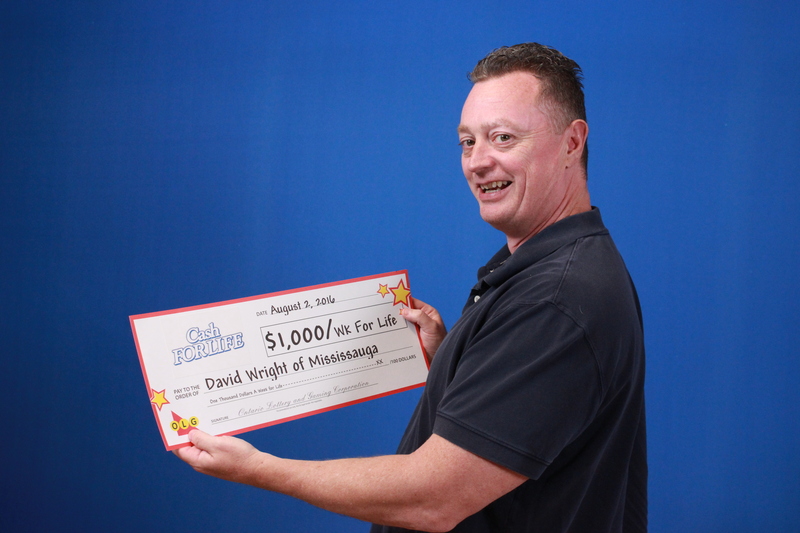 Wright opted for a lump-sum payment rather than the $1,000 per week for life prize option. His ticket was purchased at Hertz Convenience on Glen Erin Dr. in Mississauga.